Refurnished in fall of 2006. 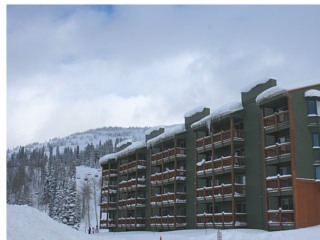 These 46 deluxe slopeside hotel rooms feature rustic luxury furnishings with two queen pillow top beds, full bath with tub, flat screen television, telephone, coffee maker, and complimentary high speed internet. Main lobby is a perfect gathering place for families and friends with a stone fireplace and comfortable furnishings. Indoor Hot Tub located on the first floor of the lodge. 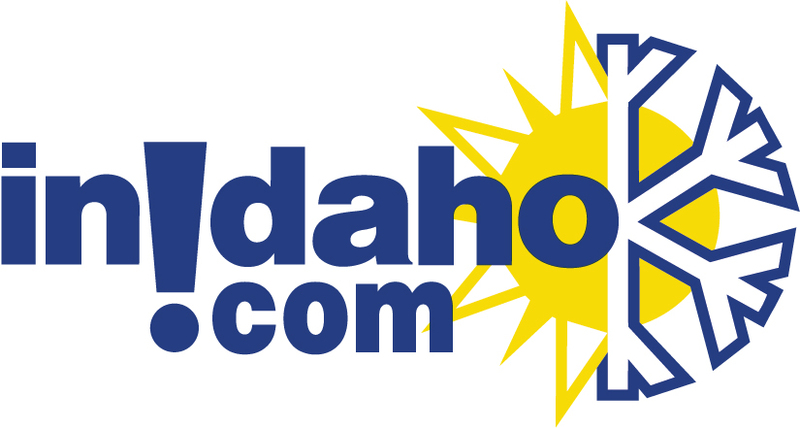 InIdaho has been partnered with Driggs hotels and motels for about 21 years. We guarantee the lowest prices for Teewinot Lodge reservations. Our local idaho business is staffed by friendly and efficient employees who appreciate that you choose to make your reservations for Teewinot Lodge with us. Our rates are always the same or lower as calling the Teewinot Lodge direct. We also offer group rates for Teewinot Lodge - just contact us! We do not have any current pre-built packages for Teewinot Lodge . Remodeled in 2006. 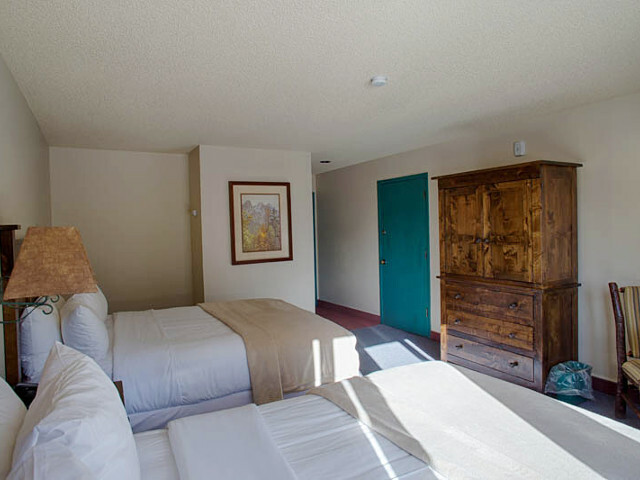 These deluxe slopeside hotel rooms feature rustic luxury furnishings with two queen pillow top beds, full bath with tub, flat screen television, telephone, coffee maker, and complimentary wireless internet. 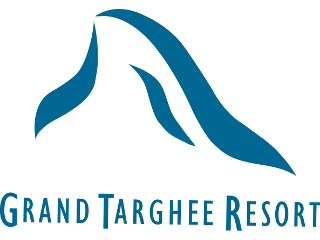 Look here for more information on the Grand Targhee Resort. 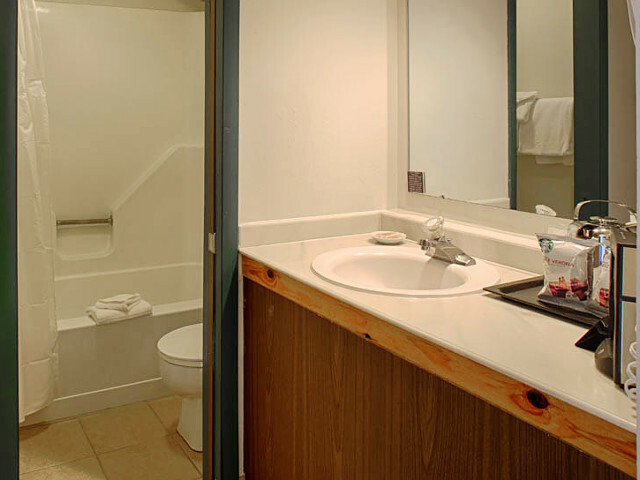 Please note: Guest reviews may mention certain amenities that may no longer be offered with Teewinot Lodge. Please check the amenities prior to booking to confirm. "Good location. Good Rooms. Nice Lobby. Good Ambience." 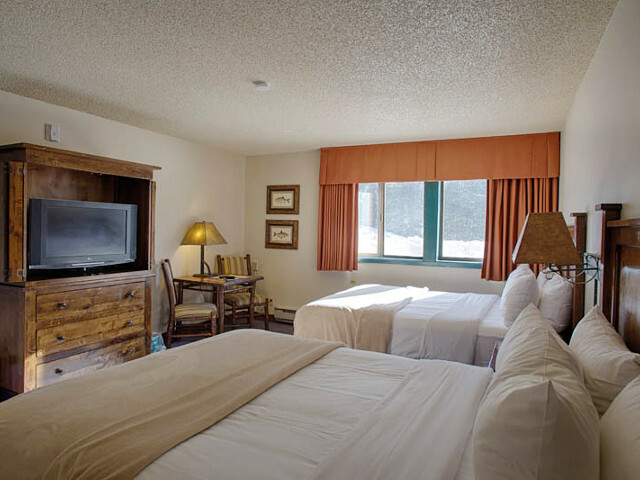 "Accomodations were excellent, everyone was friendly. Paid full price, which is ok."
"The beds were very comfortable and I liked the new flat screen TV. The only thing I feel it is lacking is Artwork on the walls. 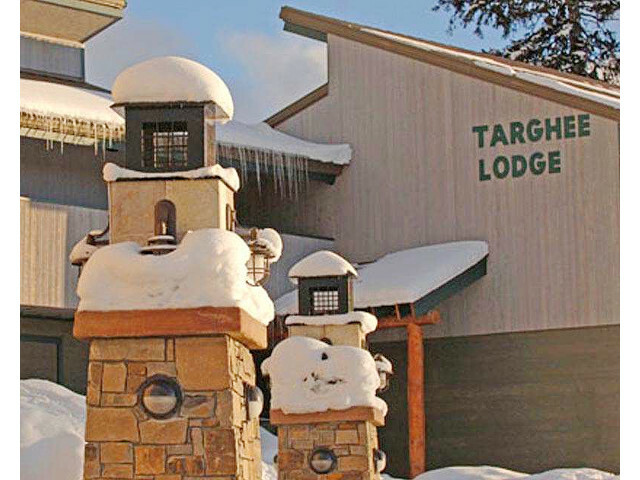 The Targhee Lodge offers the best rates when available, but the Beds and TV are not as nice. It's just older. It does at least have pictures on the wall. 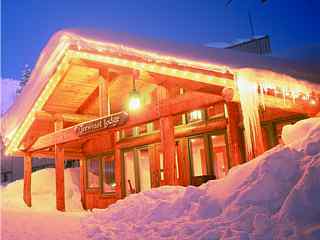 The skiing always out weighs the lodging / so it's all good !" "We loved the place. It was fun having so many activities at our fingertips. Wish we had time to use the heated outdoor pool. That looked like fun. No doubt we will return again." Cancellation Policy**:(May vary with special rates, packages & online bookings) A first nights deposit is taken at the time of booking and 30 days prior to arrival the balance of the reservation is due. Deposit minus $25 processing fee will be refunded if cancelled outside of 30 days prior to arrival. 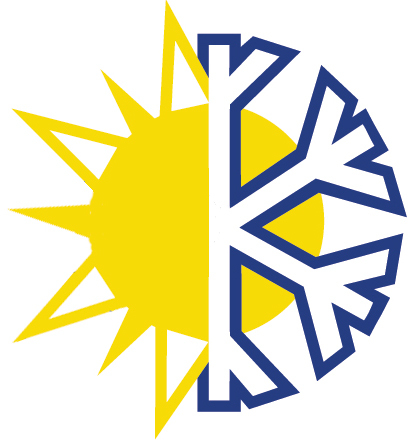 If cancelled between 8-30 days of arrival, the deposit is forfeited. If cancelled inside 7 days of arrival the entire amount of reservation is forfeited.